Sara Hughes is an Assistant Professor in the Department of Political Science. 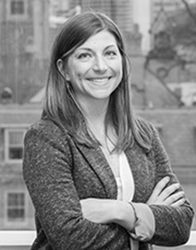 Her research interests include urban politics, policy, and governance, water policy, and climate change policy. She focuses on understanding how political interests, institutions, and environmental problems interact at the urban scale, and the social and environmental outcomes they generate. Her research has been funded by SSHRC, Connaught, and the Government of Minnesota, and she has held fellowships at the U.S. Environmental Protection Agency and the National Center for Atmospheric Research. In 2013, she was named a Clarence N. Stone Scholar by the urban politics section of the American Political Science Association. She has a PhD in Environmental Science and Management from the University of California, Santa Barbara.